Sally Soriano is a Seattle, Washington activist. She has served on the Seattle School Board. Soriano is a native Seattleite and attended Alki, Madison, and West Seattle High. She received my B. A. in Education from the UW and her Masters in Education from the University of Wisconsin where she co-founded and taught in the Department of Community Education. Soriano also worked in industrial safety and health and as a policy analyst. 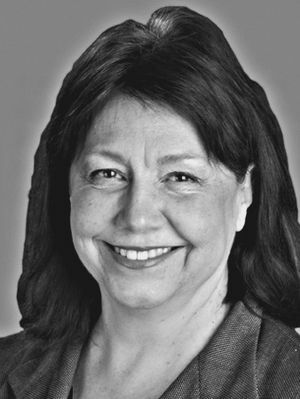 In 1991 Sally Soriano, Washington was one of several hundred Communist Party USA members to sign the a paper "An initiative to Unite and Renew the Party" - most signatories left the Party after the December 1991 conference to found Committees of Correspondence. In 1992 Sally Soriano, CoC, Seattle, endorsed the Committees of Correspondence national conference Conference on Perspectives for Democracy and Socialism in the 90s held at Berkeley California July 17-19. In 1994 Sally Soriano was a member of the National Coordinating Committee of the Committees of Correspondence. One time Communist Party USA member Martha Schmidt has served as Executive Director, Committee for a Nuclear Overkill Moratorium; Community Organizer, Third Unitarian Church of Chicago; Adviser/Writer, Campaign to Re-elect Sally Soriano to Seattle School Board; Chair, Platform Committee and Election Monitoring Coordinator, Campaign to Elect Juan Soliz, 20th Representative District, Illinois. This page was last modified on 17 January 2014, at 13:44.